A man in southern England sawed off his own head with a chainsaw when faced with eviction from his apartment, police believe. 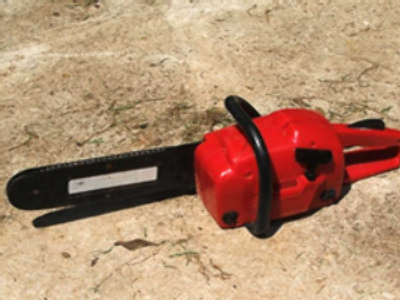 Paramedics responding to an emergency call arrived on the scene and found a man’s severed head next to a chainsaw. His apparent grizzly suicide followed a protracted battle with property developers over his home of eight years. The 1960-era housing block in Hampshire was due to be demolished and replaced with a ₤7.8 million development. All the other tenants had long moved out and their flats were boarded up. The developers had offered 58-year-old David Phyall alternative accommodation but he refused, leading them take legal action in an attempt to remove him from the building. A police investigation is now underway, but it is understood officers are not looking for any one else in connection with the death.